Making a great dock even better. Add to and accessorize your dock—more function, more style, and more fun. There’s nothing wrong with wanting more, and our dock additions and accessories provide exactly the “more” you’re looking for. Explore our additions for the larger pieces that make your dock extraordinary, and our accessories for the fun and functional add-ons that make your dock everyone’s favorite destination. 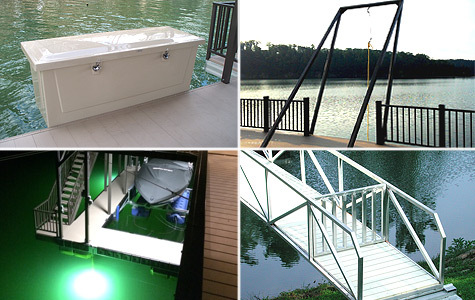 Structural elements to take your dock to the next level. Sit, store, swim, and slide.